MUFF WIGGLER :: View topic - Multiple Module in Frack Rack? Multiple Module in Frack Rack? Was gonna make a passive Multiple In Frac for myself, as their are dead easy to make. But I'm curious if anybody else uses a multiple module in their Frack Rack? This seems to be a Euro only type of thing, as I've never seen a Multiple in Frack Rack format. Blacet does make their mult/attenuator, though most systems don't seem to have many of them. STG used to make a mult in Frac, I'm pretty sure. They're normalled together, so you can use 2+ attenuators as a distributor, or have larger mults. I have two rack ear multiples using Schaeffer Frontpanel Design (hope I recall the name correctly). 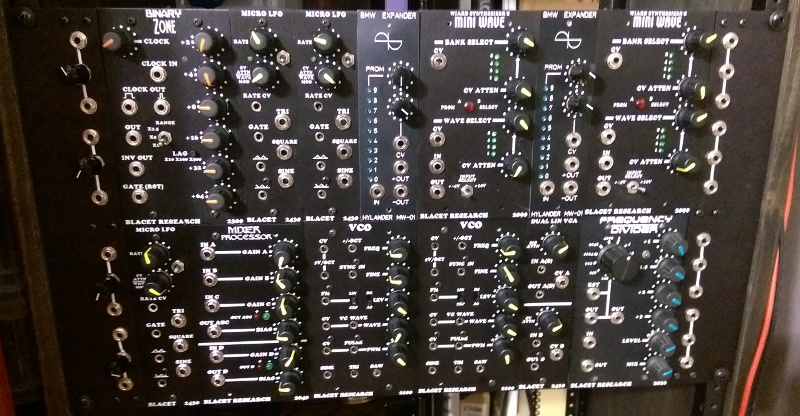 Blacet has the marvellous Splitter/Buffer/Mixer module. The useful Bar Graph module serves as a 1 to 2 multiple as well. Likewise the Dual Linear VCA. Still think I'll make my own, Just need a couple 1x7/2x4 multiples should fit nicely in a single width Frack panel. Blacet 3010 dual row is $30 for the kit. Hardly worth diying at that price. DIY Frac ear projects by Marvin Jones, musical designer/engineer from PAIA. His reference to countersinking the back of the jack holes for PAIA panels only applies to older 9700 panels which were a full 1/8" thick. Multiples are available in pretty much any format that doesn't use banana cables. Blacet Research's "Mult/Att" module is really good, useful & compact and costs so little that you might actually spend more money making one yourself. I use STG Mult's I have 3 of them. Either I'm blind or my Google skills aren't as sharp as I thought they were. My Googling for frack multiples always came up empty. Apparently they're a Frac Multiples after all. 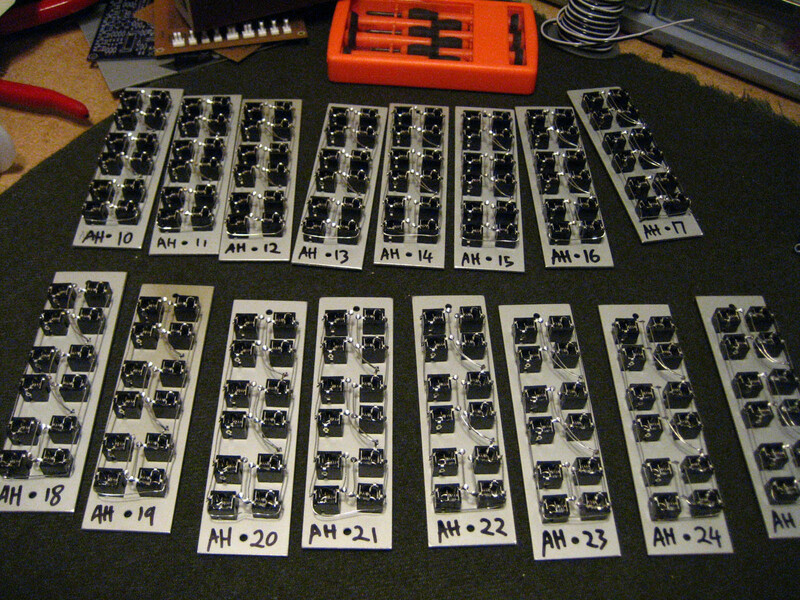 That's basically taken care of my mult needs along with 2 Blacet Attenuators/ Multiples. Intending to get another 3 Blacet modules to fill an ugly gap in the modular - and I need something that doesn't require power. The attenuators come in handy. i use y-cables instead of mults, chained if necessary. with the price of racks, seems like a waste of expensive real-estate, to me.